One of my proudest moments in my 6 years at NEXTDC was when we announced that our corporate operations were certified carbon neutral under the Australian Government’s National Carbon Offset Standard (NCOS), administered by the Australian Federal Department of Environment and Energy. At NEXTDC, our mission is very clear – to help our customers harness the full power of technology to help them compete in the digital age, but we will do so sustainably and responsibly. Our dedication to environmental sustainability and operational excellence is core to our values. With a lot of us being parents and grandparents, we feel passionately about leaving this planet in a better position, resource and opportunity wise, than when we got here. As such, we invest heavily in sustainability excellence, making our stance on environmental friendliness a priority and continuing to push sustainability boundaries. As a company, our values drive us all to set aggressive new benchmarks for the data centre industry, and a new global benchmark in data centre design that will deliver a higher level of sustainability for our business, our customers and our environment. We are responsible for building the infrastructure for the digital economy that will support our future generations, so this is something we take seriously. We have spent 9 years designing and implementing innovations that drive leadership through sustainable engineering outcomes that net a more efficient use of energy across our entire footprint. Our objective was very clear, to demonstrate how companies can be engineered to achieve positive outcomes for both the environment and their bottom line. We build the countries’ most energy efficient data centres, with our north star being the level of efficiency set by the National Australian Built Environment Rating System (NABERS). In February this year, our M1 facility in Melbourne was upgraded from 4.5 NABERS stars, to a 5-star facility, becoming the first colocation facility in the country to achieve this level of efficiency never-before attained in the industry. The next logical step in achieving sustainability excellence was offsetting our corporate carbon emissions to achieve 100% neutrality. With our values acting as the driving force behind our strategic priorities, forging a new strategic partnership with Qantas, the pinnacle of the airline industry and with over twelve years’ experience managing the world’s largest airline carbon offset program was an alignment we couldn’t help but feel excited about. The QFP ecosystem of global leaders in sustainability consists of some of the countries’ most forward thinking organisation and the globe’s most innovative companies – values we all feel equally passionate about and an ecosystem of leaders we are proud to be a part of. This partnership will see us source carbon credits from Qantas Future Planet that will serve to offset the emissions that we as a company produce. Through the Qantas Future Planet program and the hand-picked carbon credits we selected, together we are supporting some of the most important carbon offset projects in our region, such as fire management with Indigenous land owners in the North Kimberley, we are supporting rainforest communities in Papua New Guinea, and we will serve to protect more than 7,000 hectares of Tasmanian wilderness all of which are vital in the ongoing preservation of our environment. As the leader of the WA region, the most exciting part about the news of our neutrality for me, was the announcement of our plans to establish a carbon neutral colocation program. The WA economy is full of environmentally conscious and responsible partners and customers, all of which share the same passion as we do about wanting to do more to preserve our environment. For our organisation in particular, we find ourselves wanting to partner with organisations that share our passions, our commitment to our customers respectively and the values that we all uphold every day. 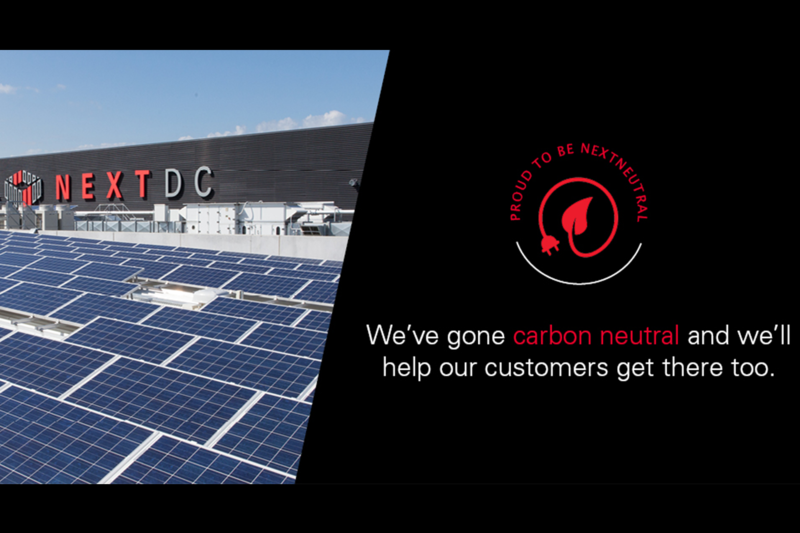 The announcement of our carbon neutral colocation solutions means the partners and customers who are committed to offsetting their carbon emissions will soon be able to do so, from NEXTDC’s facilities. The end goal of our neutrality, is enabling our customers an partners to also achieve 100% carbon neutral operations when they colocate at any of our data centres. We are bold in our approach; we as a company support the science of climate change and we’re not afraid of using that conviction to demonstrate to others how our business interests can help create a better future for all. We build and operate a national footprint of Australia’s most energy efficient data centres which serves as a reminder that organisations can be engineered to both support the environment, better support our customers and improve business efficiencies. And we as a company are thrilled to join the Qantas Future Planet ecosystem of global sustainability leaders. Data centre providers are well positioned to leverage renewable energy technology, which allows NEXTDC and the industry at large, to meet and exceed Australia’s greenhouse gas emission reduction target. 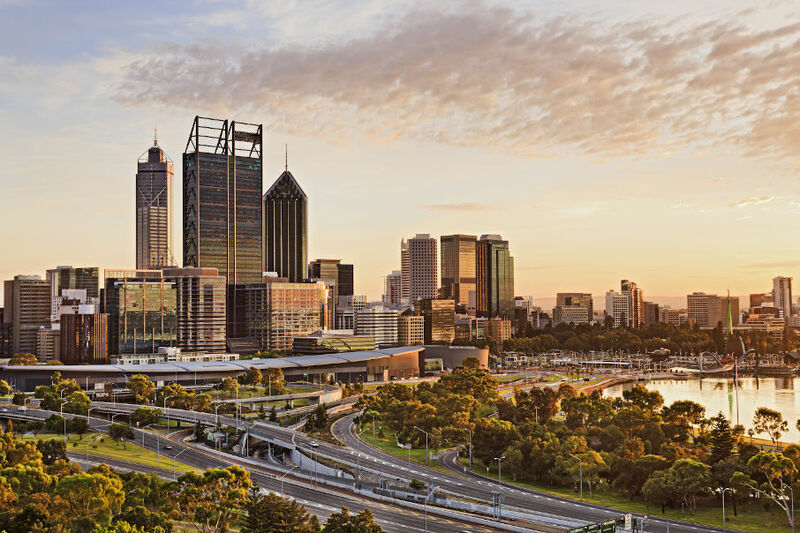 Further to this, NEXTDC’s second-generation data centre P2, located in East Perth, will deliver even higher levels of energy efficiency when the hyperscale build is completed in 2020. Showcasing world-leading engineering never before seen, P2 will better support our business, the environment, and our WA customer’s and stakeholders long term needs. If you would like to talk to our local WA team about how we can help you build an infrastructure platform that will support your organisation over the long term, delivering your business with 100% uptime, and do so sustainably, responsibly and neutrally, please contact us on 13 NEXT or email sales@nextdc.com and ask to speak with the WA local data centre specialists.